I’ve been sorting through my things, and found some old negatives. 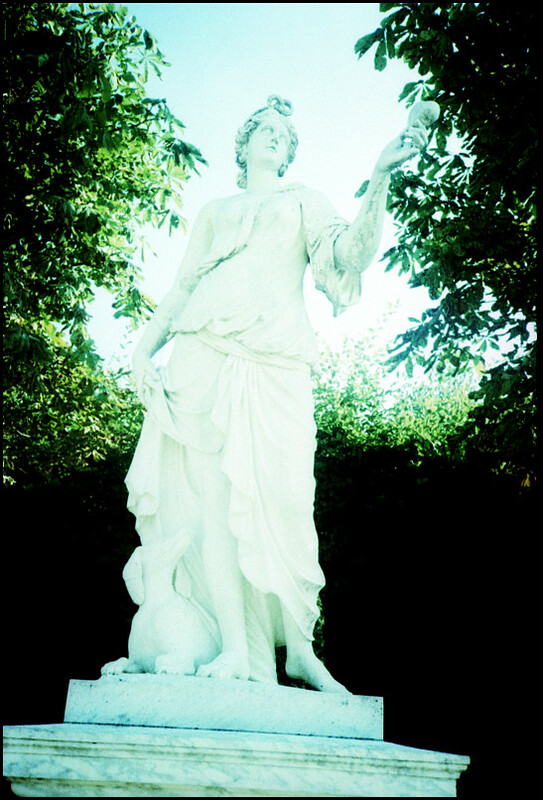 I’ve already scanned the one from Italy in the late 90s, and here’s some more. (There’s a lot more to come). In 2005 I went camping with my mum in Yvelines, just outside Paris. You can get into the city in about 15 mins on the RER, so it’s a good combination of camping and sightseeing. 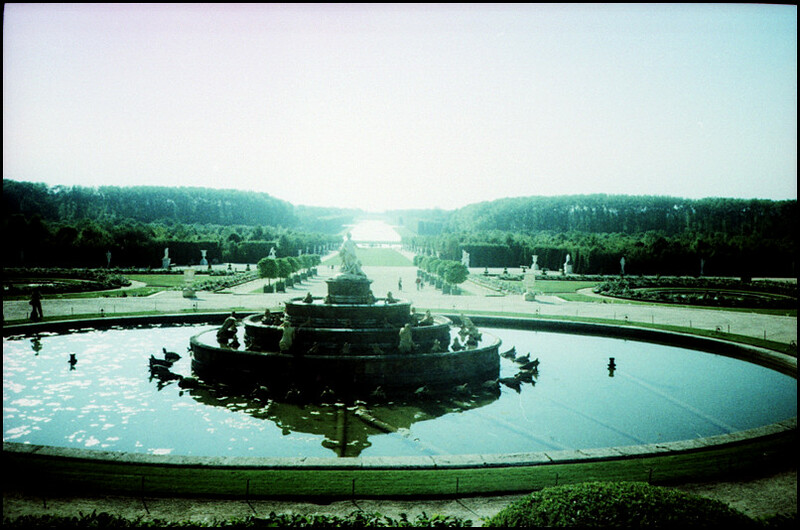 Versailles is just down the road too. I took a lot of photos there, but I can’t find the others right now. 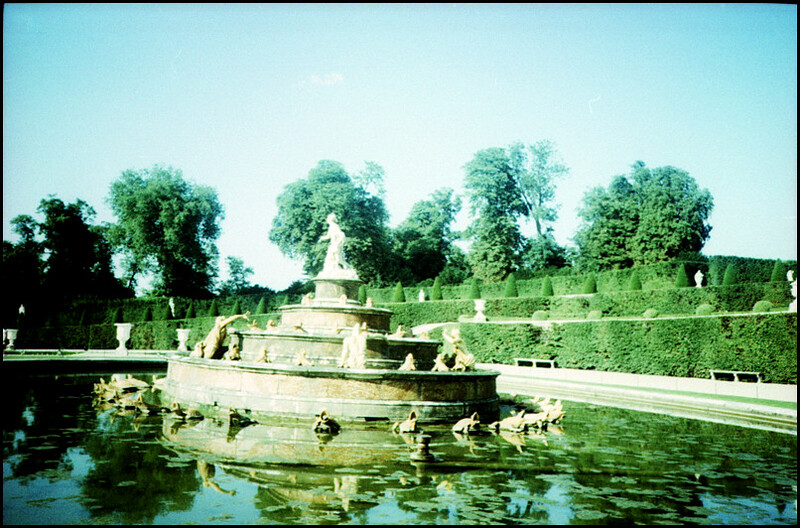 These are taken with an Olympus XA2 and some cheap expired Kodak slide film, cross-processed. The design of the fountains also reminds me a lot of one of my favourite films, Last Year at Marienbad. It’s probably not to everyone’s taste, but it’s a film worth seeing. The sign says literally, “forbidden lawns”, which makes me laugh. 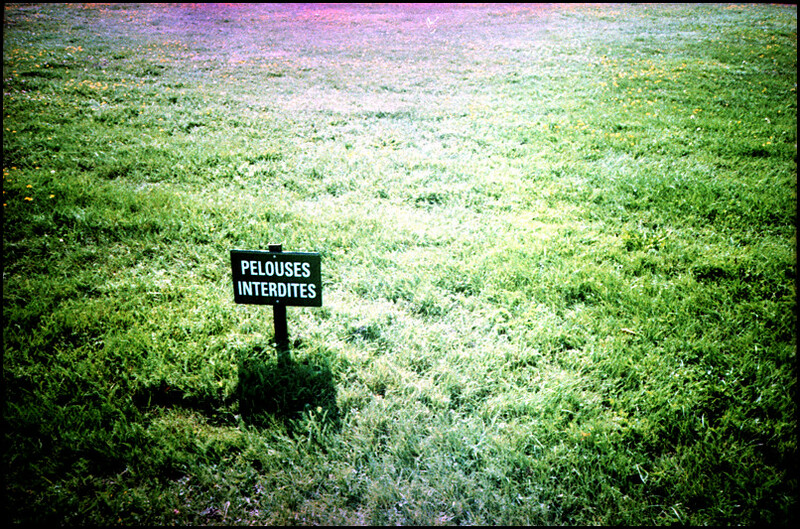 Of course, it just means don’t walk on the grass there.